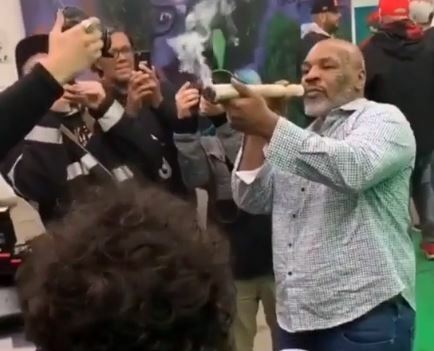 Boxing legend Mike Tyson has been spotted revelling in the marijuana biz after he attended a cannabis festival and smoked a foot-long joint. This came after he bought a 40-acre ranch in California last year with the intentions of setting up a growing plant. 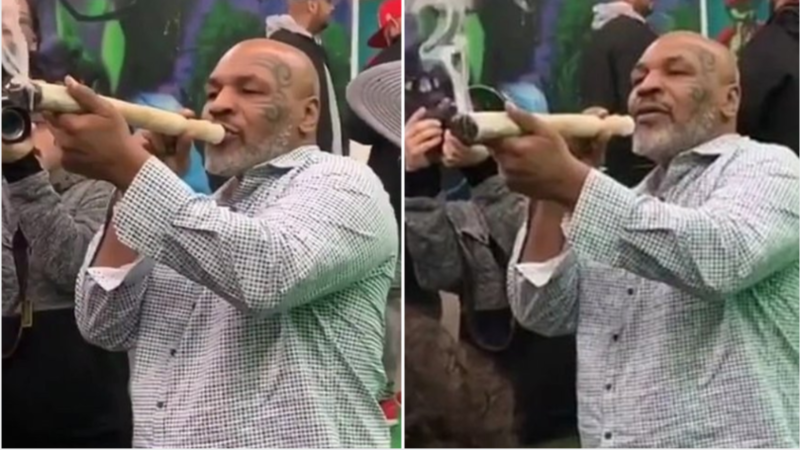 So it probably didn&apos;t come as a huge surprise that he was at the marijuana-themed event held by BREALTV - but he might have just been getting some inspiration because, according to The Sun, Tyson will be hosting his own weed-turned-music-festival at his ranch on 23 February. He has been an advocate of the Class B drug and puffed away on the spliff - which he had to hold with two hands - at the event as photographers snapped his pictures. 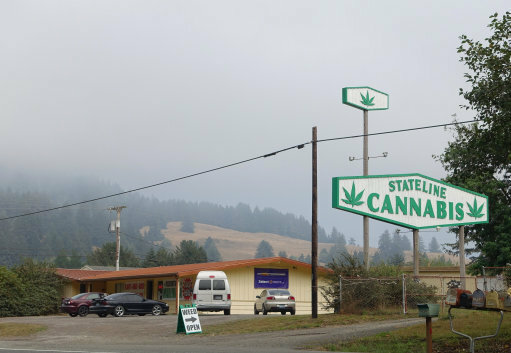 Tyson is clearly taking advantage of California&apos;s legalisation of the recreational use of the drug and he has set 20-acres aside for his cannabis farm. Back in November 2018, Conor McGregor hung out with the former heavyweight world champion and dubbed his strain &apos;KO Kush&apos; as &apos;really nice&apos;. 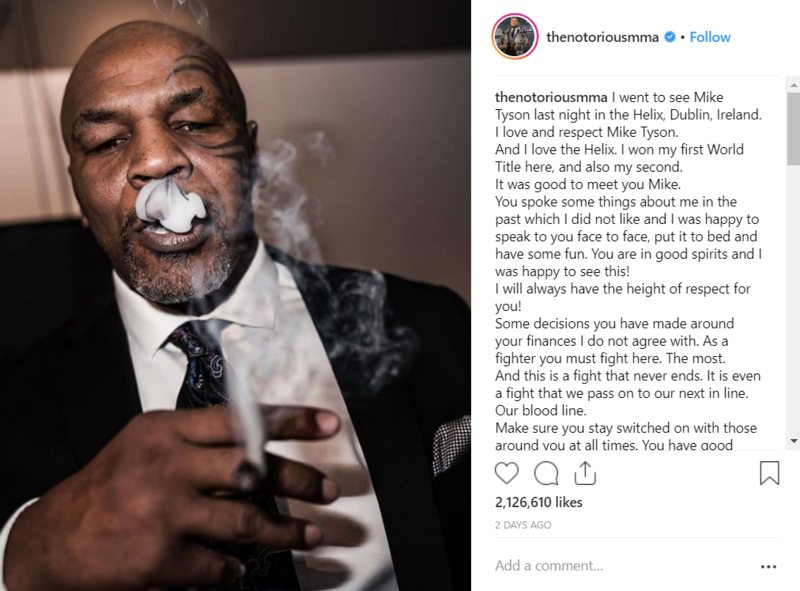 According to a post on Instagram, the two have put their differences &apos;to bed&apos;, with the controversial MMA star admitting that Tyson will always have his &apos;endless love and respect&apos;. McGregor followed this up with another photo of himself laughing, holding what looks like a joint, writing: "Some giggle off that Cherry Pick Kush." 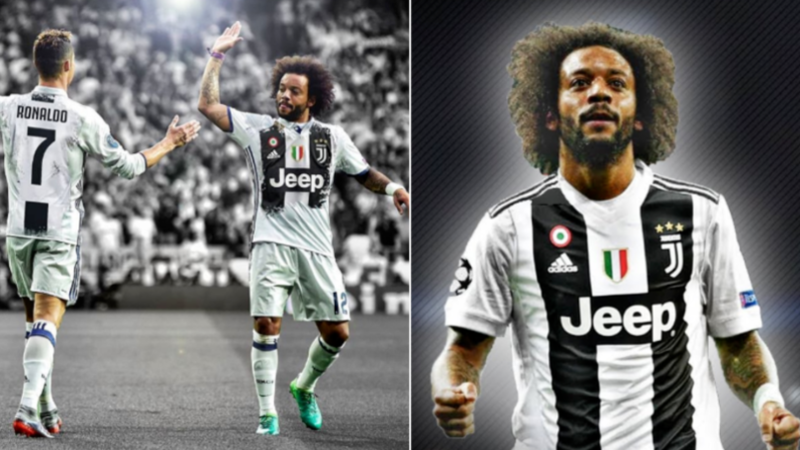 At the time, fans had a lot to say about the photo (shock horror) - with one tweeting: "Now this is a picture I never thought I&apos;d see." 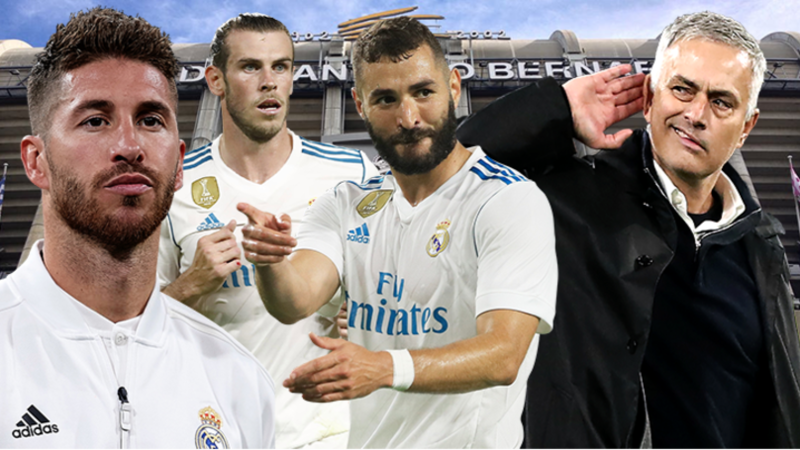 Another added: "Two living legends high on life." Well, a bit more than life but yeah, whatever. Others decided to scold McGregor over the photo, saying that he shouldn&apos;t be on the &apos;Cherry Pick Kush&apos; if he wants to keep his fighting game strong. One person told him: "Get cannabis out ur lungs lad then maybe you won&apos;t gass out half way through fights all the time." Someone else said: "Don&apos;t pls don&apos;t need u having energy in the later rounds!" A third commented: "Then the man wonders why he can&apos;t win a ufc fight pissed up and high every other day..."